Kendall Jenner, the 22-year-old Keeping up with the Kardashians star, has cemented her place in the modelling world, with Forbes magazine naming her the highest paid model for 2017, earning a whopping USD $22 million per year. That’s NZD $32 million! Brazilian model Bündchen came in second place with USD $17.5 million after dominating the top spot for the last 15 years. Chrissy Teigen, who announced this week she is expecting a second child with husband, musician John Legend, rounds off the top three, debuting on the list at a cool USD $13.5 million. Kendall’s friends Gigi, 22, and Bella Hadid, 21, were placed at at number five and number nine respectively. Jenner’s earnings have doubled since last year’s report, and with and Instagram following of nearly 85 million and endorsements with the likes of Estée Lauder, La Perla and Adidas it’s no surprise. 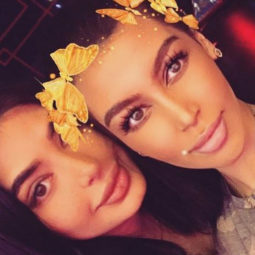 Last year Forbes reported the Kardashian/Jenner empire was worth USD $122.5 million, with Kim topping the rankings, followed by Kylie who just pipped Kendall at the post. It will be interesting so see whether Kylie can keep her number two spot when the next rankings come out, or whether Kendall manages to eclipse her little sister like she has Gisele. Watch this space!